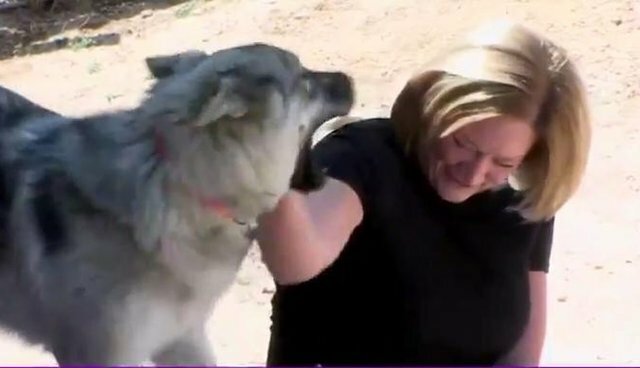 When a 9-month-old husky mix named Banjo was caught in a fast-moving current and swept away by the Poudre River, her panicked family worried they would never see her again. 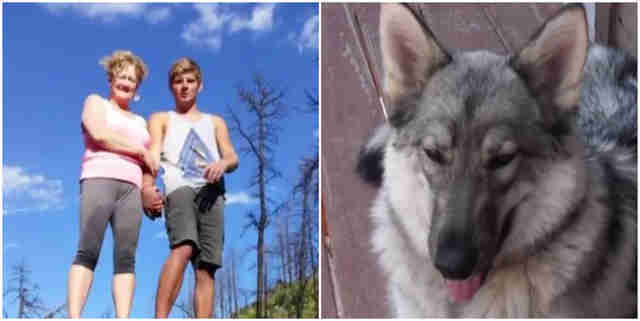 Banjo was out on a hike with her human brother, Braeden Brooks, when they both slipped and fell into the river in Colorado's Poudre Canyon. The two were separated: Brooks made it out but a frightened Banjo was whisked away downstream. Brooks and Banjo's mom, Donna Hill, organized a search party and went back to the canyon day after day looking for the family's lost dog. But weeks went by with no sign of Banjo. Brooks had to return to school in Kentucky, but came home to Colorado every week to keep searching for Banjo ... to no avail. But then, six weeks after Banjo first went missing in the canyon, Hill got a call from the Estes Park Police - they found her. She had lost almost 25 pounds and was frightened and tired from struggling to survive on her own. But there was no doubt the dog was Banjo. Police had found her searching for food outside of nearby homes. A police officer gently coaxed the frightened dog to safety. Ash on her coat indicated she had trekked through a forest burn zone and her rescuers estimated that Banjo had traveled more than 50 miles. "We were thrilled, just absolutely thrilled, to know someone had her at that point," Hill told local outlet KUSA. The family was reunited and a recovering Banjo is happily readjusting to her comfortable life with her family. Police were able to identity Banjo because her family's contact information was on her collar - so her happy ending is yet another reminder for pet owners to think about the life-saving importance of tags and microchips. 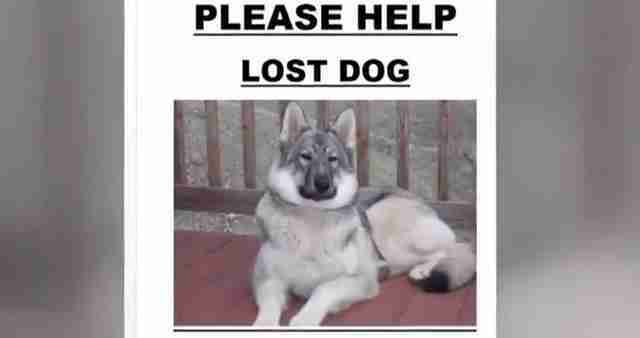 Congratulations to Banjo on her safe return to her family. This gal is a real survivor.